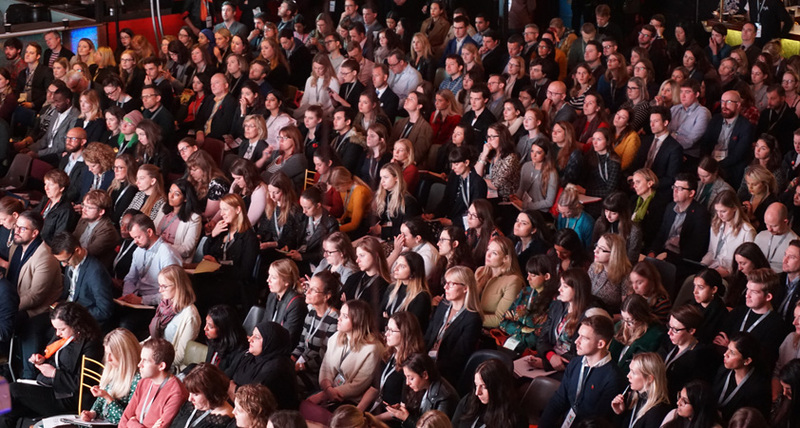 The PR profession needs to move away from the mentality of hiring “people like us” to improve diversity in the sector, a panel of industry experts stated at CommsCon. The panel – held in association with the CIPR Greater London Group – discussed research from Dr. Lee Edwards, associate professor in the department of media and communications at LSE, which examined whether the PR industry was inherently “white”, not just in colour but also in how it operates. Edwards was joined by session moderator Avril Lee, deputy chair global health practice at Burson RX, Isobel Bradshaw, senior corporate comms manager at Vodafone Group, Kuldeep Mehmi, associate director at Hawthorn Advisors, and Yvonne Smyth, group head of diversity and inclusion at Hays, with the quintet debating how to solve PR’s diversity problem. To open the session, Edwards discussed the concept of ‘whiteness’ and the findings of research she had done examining diversity in the PR industry. Edwards argued that whiteness represented more than just skin colour, listing definitions showing that it can be an objective social location which confers advantages and a way in which people experience, perceive and interact with their environment. She also presented a number of comments from communicators from BME backgrounds she had interviewed detailing their experience of the industry. Many had said that the industry’s culture and the way people reacted to them, unconsciously rather than deliberately, had made them feel different and like they didn’t fit in. Bradshaw recounted her experiences of the lack of diversity in PR, noting that in spite of London being 40% BME, she was more often than not, the only non-white face in the room. “It’s more surprising there being more than one ethnic diversity in a room than being the only one,” she said. Bradshaw also noted that the agencies she had worked for had between 10%-20% of staff from BME backgrounds, often closer to 10%, while her in-house roles contained teams which were even less diverse. Picking up on the recruitment angle, Smyth argued that if organisations recruit people like those who are already employed, then there is no scope for them to evolve. She said that everybody in the industry needed to play their part in improving its diversity at all levels, stating that “you can’t be what you can’t see”. As a diversity and inclusion head at Hays, Smyth also emphasised that inclusion is as important as diversity and the two go hand-in-hand, going back to Edwards’ point that whiteness is not just about skin colour but also about the culture of the industry. Mehmi reinforced the point that it is not only important to have a higher number of people from BME backgrounds working in the sector, but also working across higher levels of an organisation in order to develop role models. He also emphasised that there is a business imperative to increasing diversity in the industry; noting that companies in the top quartile for racial and ethnic diversity are 35% more likely to have financial returns above their respective national industry medians. He added that in the United Kingdom, for every 10% increase in gender diversity on the senior executive team, earnings before interest and tax rose by 3.5%.